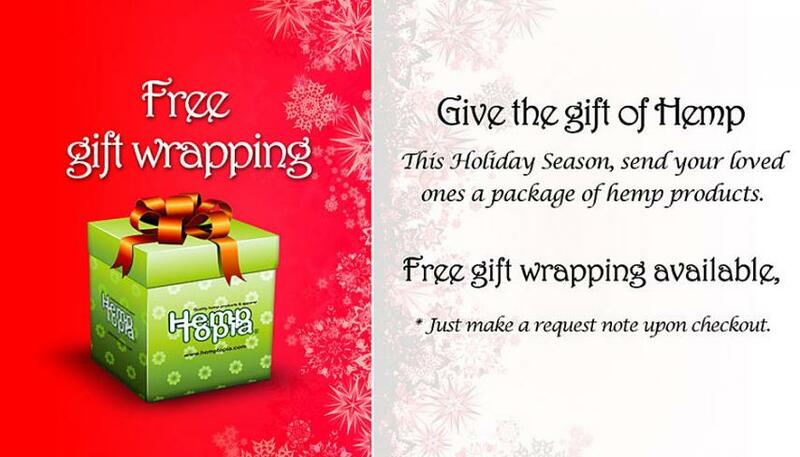 Free Gift Wrapping all During The Holidays At Hemptopia! Merry Christmas! We are offering free gift wrapping during the holidays. Offer valid up until December 31st. Just specify that you would like free gift wrapping in the notes during checkout. You can specify a relative or friend to ship to. Give the gift of hemp this Christmas and experience all the wonderful benefits of hemp.